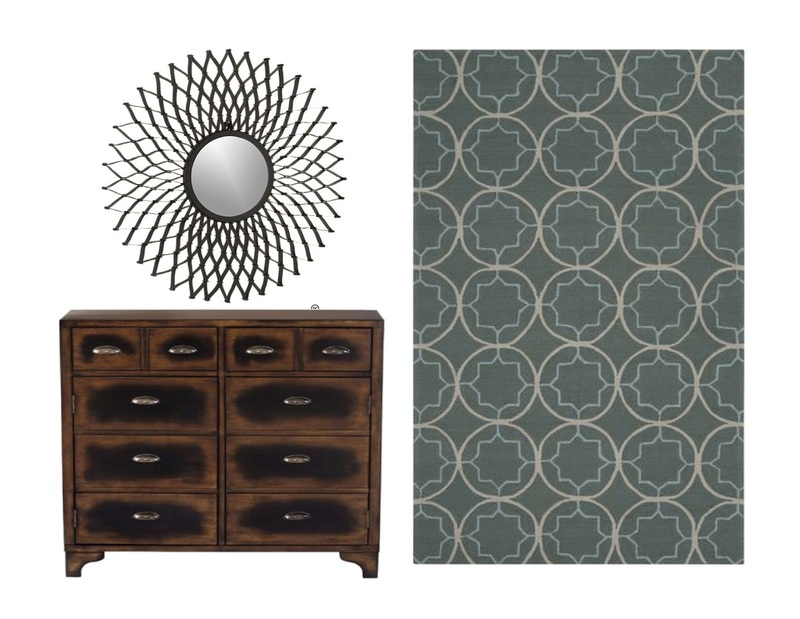 Today's featured design plan is for Nicole's Family Room and Foyer. 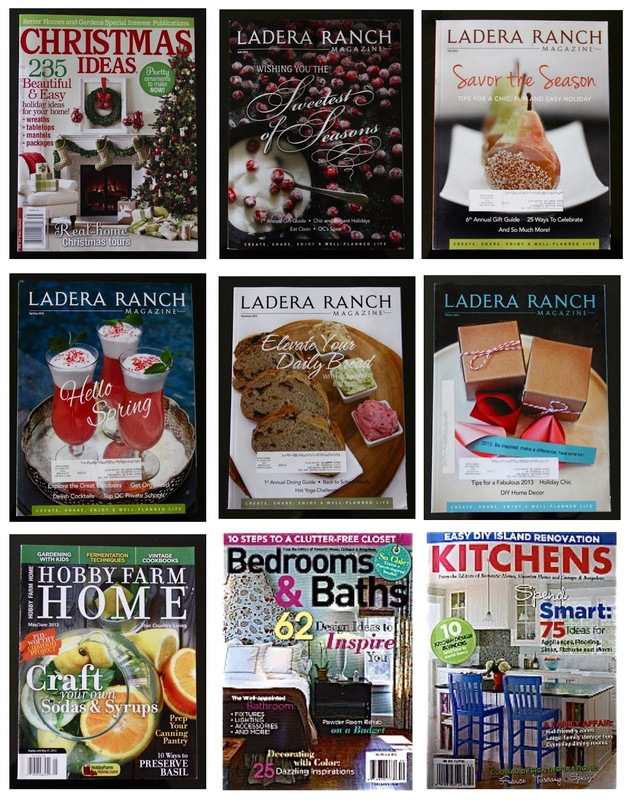 We've had the honor of designing a few spaces in her home and we were so excited when she recently called upon us again. 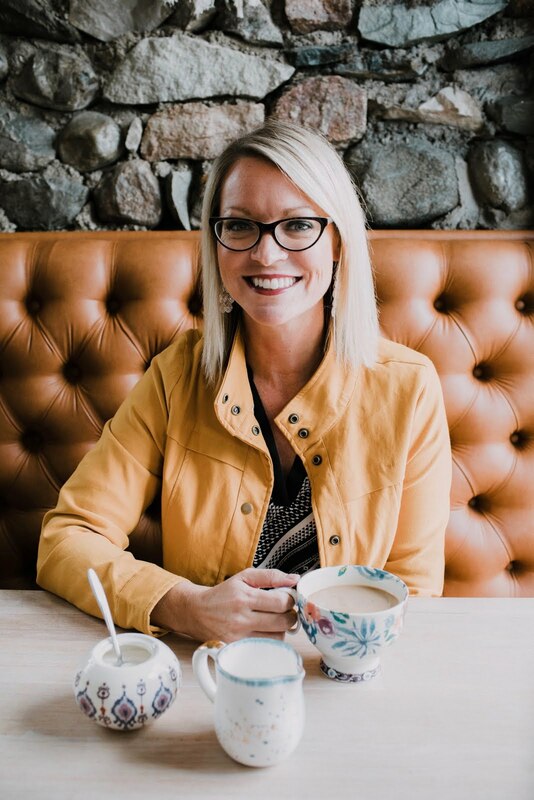 Through our consultations with Nicole, we've learned that she favors transitional style with a little bit of charm and rustic flavor. This style compliments her home as well as her lifestyle very well. Our goal was to give her a high style Foyer and a beautiful, comfortable Family Room for her family to relax in and enjoy family time together. 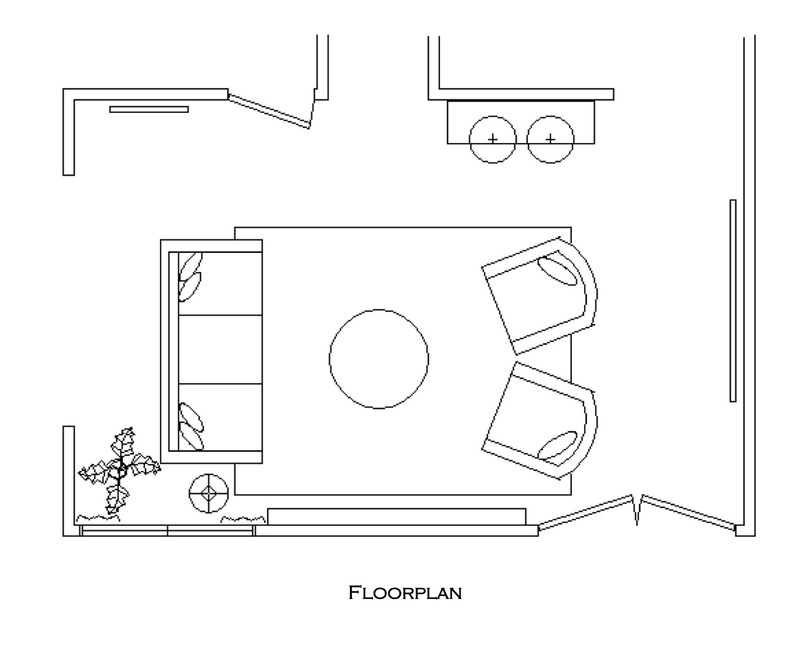 This is the true to scale floor plan illustration we created to show Nicole where each item should be placed. Nicole already has a beautiful paint color that we were able to work with very nicely. The items we selected for her will look great with the current color, yet are neutral enough that should she decide to repaint one day, choosing a new color would be simple. We chose this handsome sofa in a gorgeous neutral fabric. 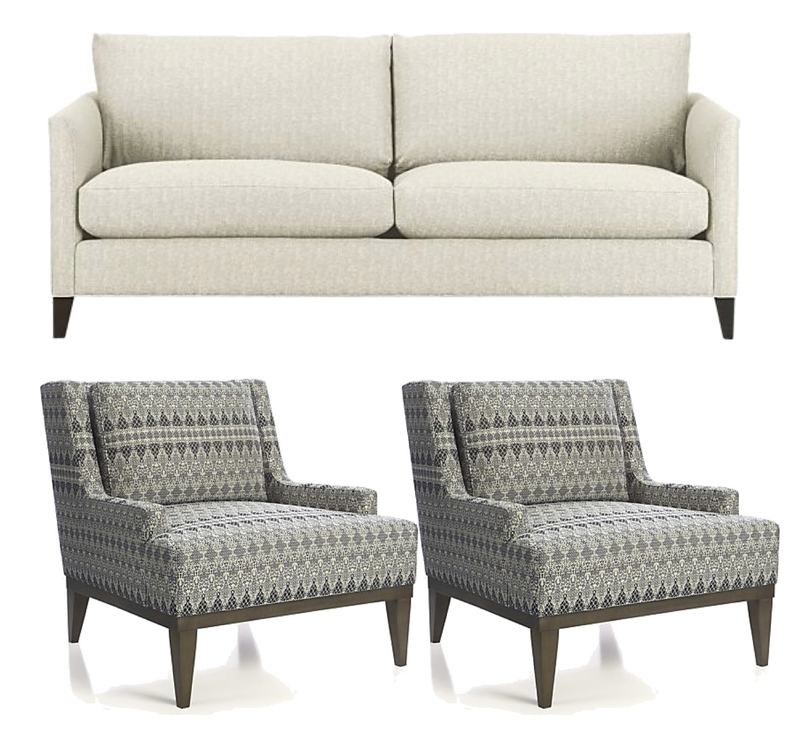 We paired it with a set of two patterned chairs in the same clean, sleek shape. We placed a beautiful console table with a slightly rustic finish along the wall behind the chairs. Under the console table, we added these fantastic leather ottomans. Not only will they look amazing tucked under the console, but they will come in handy any time additional seating is needed. 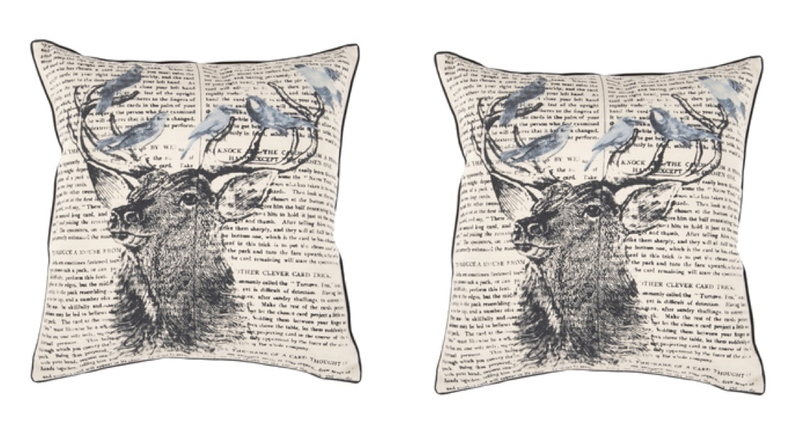 For personality, pattern and color we suggested adding these playful, yet sophisticated toss pillows to the sofa. This over sized houndstooth pattern is graphic and eye catching and the woven wool texture and luxurious down fill makes them a chic designer element. 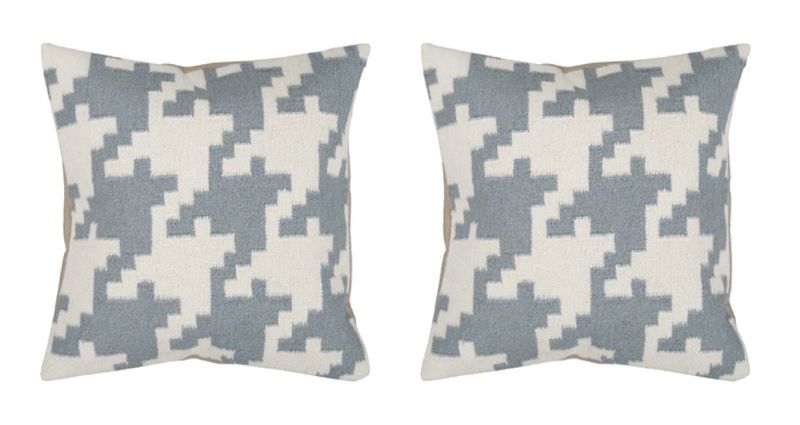 These character rich deer pillows lighten the mood of the space and compliment the houndstooth pillow beautifully. To ground the seating area, we selected a gorgeous tone-on-tone charcoal colored wool area rug. This rug is a perfect choice for a family. 100% wool rugs are naturally stain resistant. 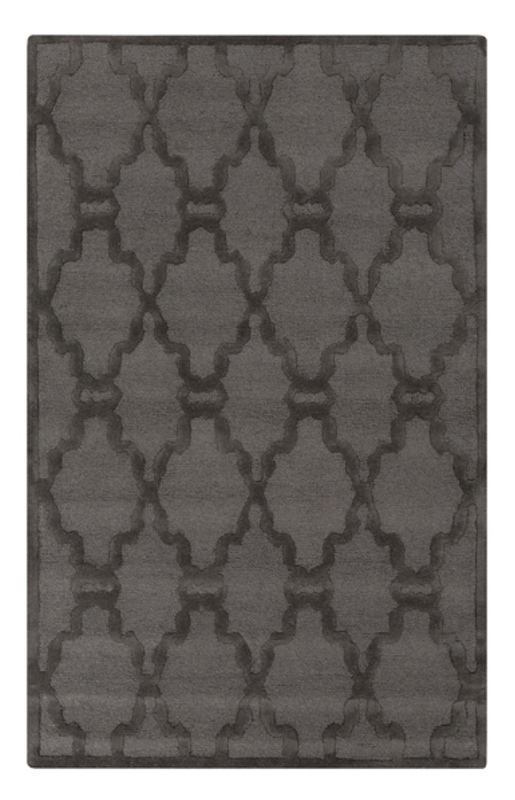 The sculpted trellis pattern found in this particular rug gives it interest while the monochromatic charcoal on charcoal color scheme keeps it from overpowering the other patterns used in the space. These pre-made drapery panels were perfect for Nicole's space. We chose them for their subtle ombre effect. 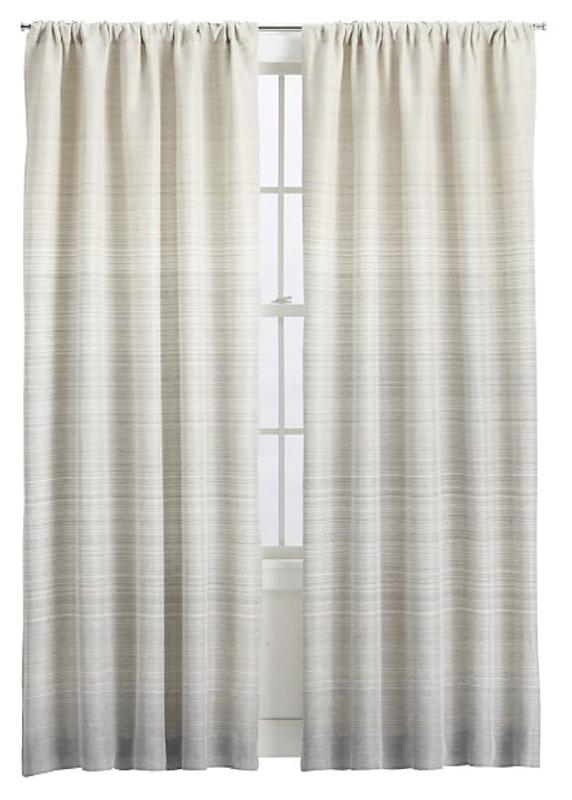 They have just enough pattern to give the windows interest, but they are still overall light, bright and calm. 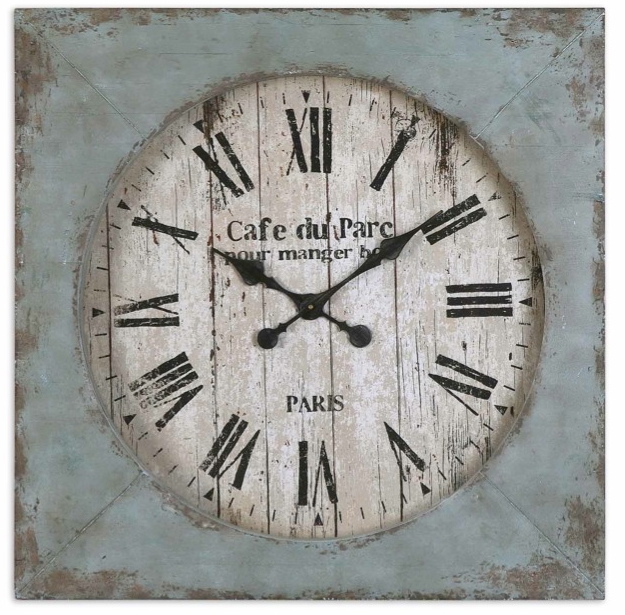 To incorporate a little time-worn character, we chose this large square distressed clock for the space above the fireplace mantel. The rustic finish speaks to the look of a well loved antique while the square shape allows it to fit in perfectly with the contemporary items in the space. 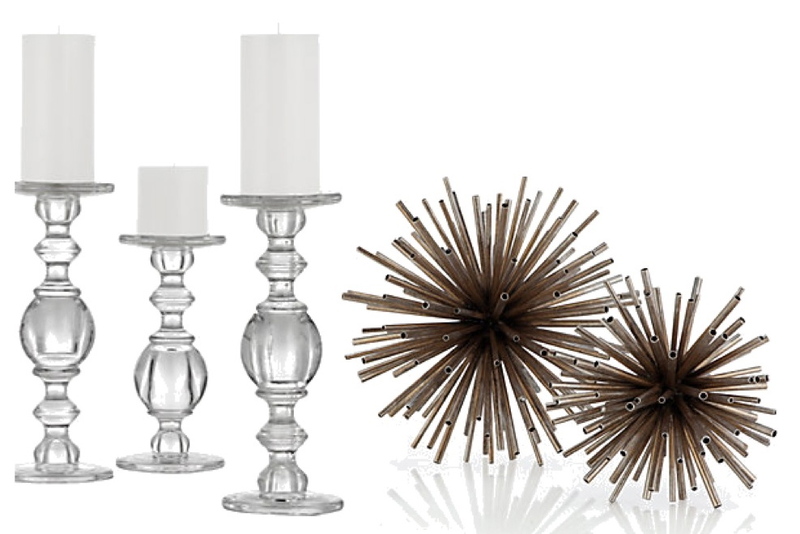 To accessorize the mantle in front of the clock, we suggested a simple arrangement of candle holders and eye-catching spheres. 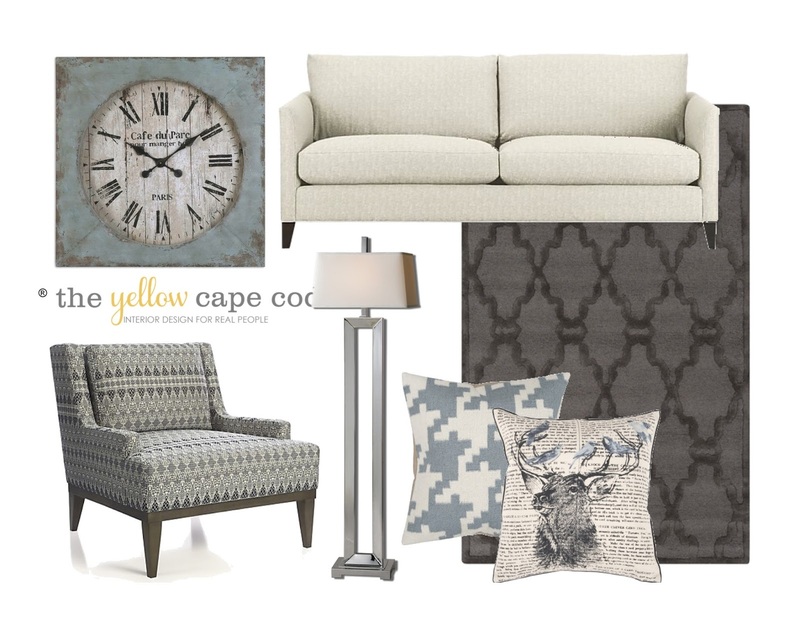 These are just some of the items we used in Nicole's family room design plan. To make a great first impression upon entering Nicole's home, we designed a stylish and welcoming foyer. The items we used in this space are a taste of the style we have implemented throughout her home. We made a big statement with just three pieces. The cabinet we selected gives a little bit of rustic charm to the entry while the fantastic sunburst mirror and graphic patterned rug provide a fresh, young, contemporary feel to the space. The rug we selected is actually an indoor/outdoor rug which makes it practical for a busy entry. 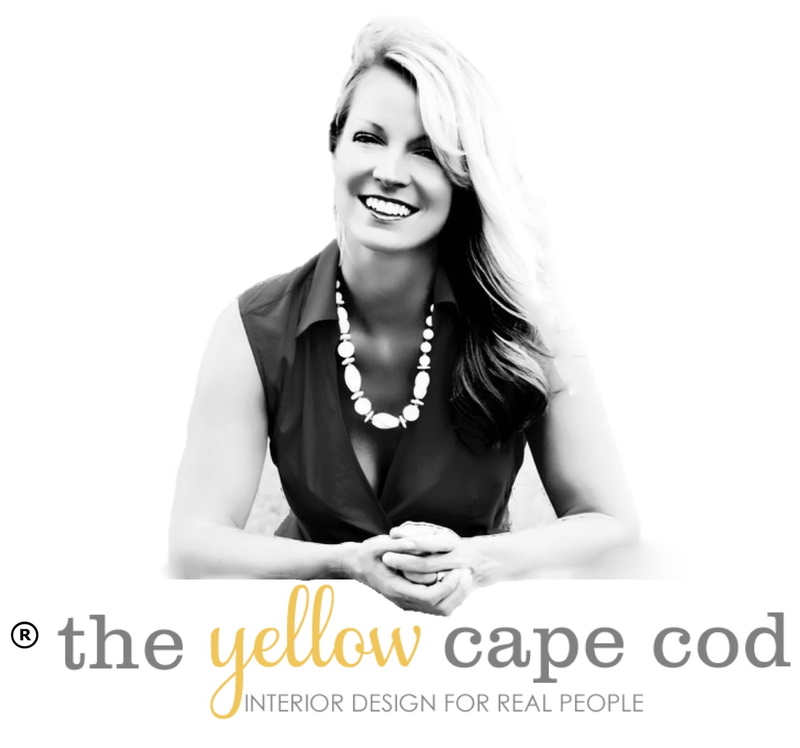 *Items from The Yellow Cape Cod are available for a limited time. Thank you, Nicole for giving us the opportunity to design for you again! 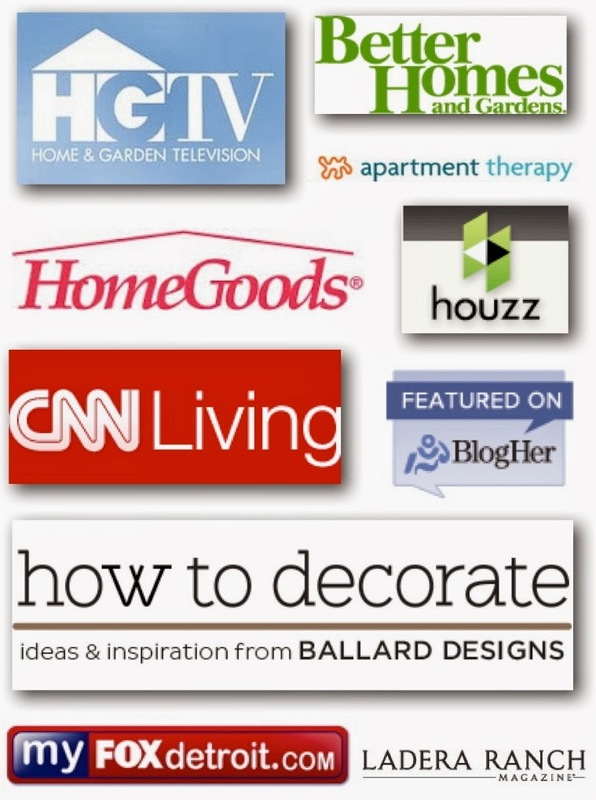 Back to the studio for me, I'm now accepting new projects if you have a space in your home that needs a little love.